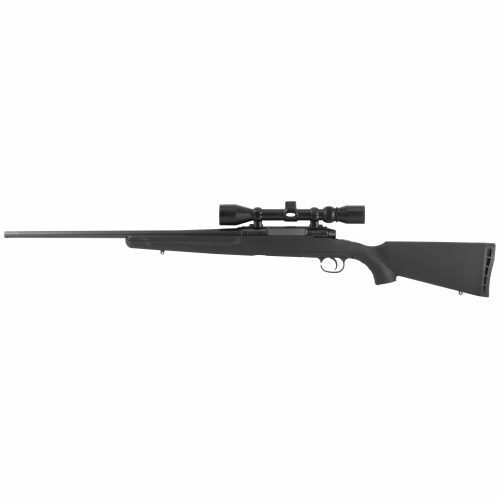 Savage Arms Axis bolt-action centerfire rifle blends unflinching performance and impressive accuracy. It sports a modern design that features sleek contours, recoil pad vents and a textured, easy-to-control grip. The Axis also features a carbon-steel barrel, a black synthetic stock, a drilled and tapped receiver, and offers silky-smooth bolt operation.